> Blog > What Does Uplink & Downlink Mean on a Cell Signal Booster? This is a question we often get from enterprise customers. Cellular devices such as smartphones and tablets operate within a certain radio frequency we know as 3G & 4G. When you’re experiencing dropped calls & slow internet, a cell phone signal booster basically acts as a reliable go-between your cell phone and the cell phone tower. Because of weak signal and the dreaded one bar of service disrupting your talk, text, internet and emails, a cell phone booster amplifies your 3G & 4G signal coming to and leaving your phone. Signal coming in from the cell tower or base station to your cellular device is known as the downlink. Signal leaving from your cellular device to the nearest cell tower or base station is known as the uplink. In layman’s terms, downlink and uplink essentially mean download and upload. Think about how many countless times you hear the person on the other line, but they can’t hear you or vice versa. That’s because of disrupted downlinks and uplinks. This is especially true with 3G as it is actually made of two frequency bands, 850 & 1900 Mhz, one for uplinking (talking) and the other for downlinking (listening). Cell phone signal strength is measured in decibels (dB). It operates within a signal level of -50 dB to -120 dB. This is true for all phones & cell devices, and for all carriers in North America. -50 dB represents the best signal (full bars), while -120 dB represents poor signal (near dead zone). Most cell phone reception problems begin when signal strength ranges from -90 to -100 dB. Within the range between -101 dB and -120 dB, it’s possible to have working signal, but service is severely affected. Cell signal decibels are measured exponentially. Even something as “small” as +3 dB represents 2x the power! Conversely, -3 dB means half the power. This is the fragile nature of radio frequency, especially with cell phone signals. Everyone’s cell coverage is unique because of factors such as carrier preference, cell tower distance, outside interference, building material, internal impediments, and user location. Therefore, anything and everything can affect the quality of incoming and outgoing signals. FCC-approved commercial cell phone boosters are legally capped at +70 dB of max gain, which potentially adds a tremendous boost to signal strength & coverage. Although enterprise boosters are capable of boosting up to +70 dB, because of the factors listed above, real-world results generally range from a +3 dB to +42 dB gain for a majority of users, which is a minimum of at least 2x amplified 3G & 4G signal. This enhanced signal leads to more powerful uplinks and downlinks, which leads to the two biggest benefits of owning a signal booster: faster internet data speeds & more coverage. With an average difference of +3.24 dB, the Wilson Pro 4000R is 2.11x more powerful than the WilsonPro 70 Plus in the uplink power. This translates to slightly more than twice the coverage. 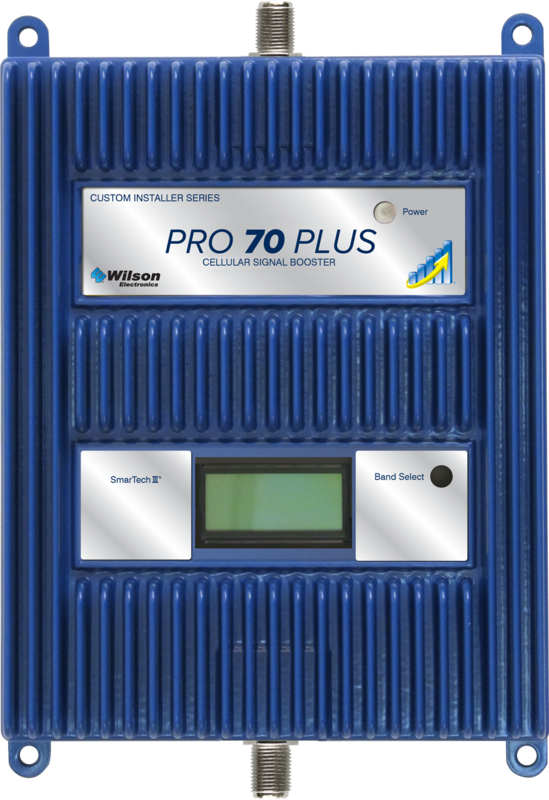 The WilsonPro 70 Plus provides coverage up to 50,000 sq ft. The WilsonPro 4000R provides coverage up to 100,000+ sq ft. Both provide the same downlink output; however, the Drive 4G-X provides +3 dB across all five bands on uplink power. This leads to up to 2x the reach to the nearest cell tower while on the road or out in the field, especially in remote, rural areas when signal and carrier service is limited. 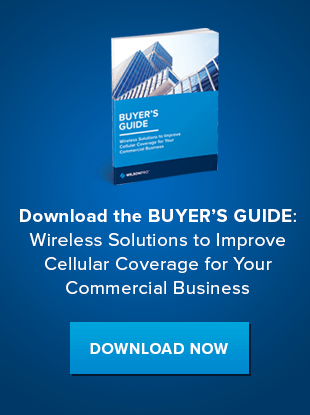 Download our Cell Phone Signal Booster Guide to learn more about wireless solutions for your most challenging connectivity issues. Or, check out our latest ProTip video below.